iPhone owners can now opt to use either the existing case, at the reduced price of US$59.95, or the iCaisse4X, an upgraded version of the case first unveiled in May that also extends the iPhone’s overall battery life. This Moneto X option costs US$79.96. Android users now get 4GB of storage on their microSD card, as well as NFC payments capabilities. Moneto now includes support for person-to-person money transfers. The new “Money Move” feature can be used to send funds to another Moneto cardholder free of charge. Reduced prepaid card fees. 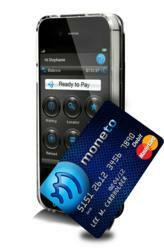 Moneto comes with a prepaid MasterCard account, which is used to charge transactions made with NFC-enabled mobile phones. Monthly fees have now been dropped for the first three months and no monthly fees will be charged in the future for users who spend at least US$300 a month.